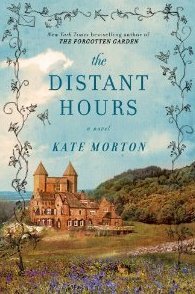 I'm a little late to the game on Kate Morton books, but I just picked up my first one, The Forgotten Garden and then saw that she has a new one coming out in November. Her books tend to get mixed reviews - from hated it to loved it - but I want to find out for myself! I was one of those who loved her previous book so hopefully will wait for this and try to get it (at some time)! This is the one that has the awesome trailer that I posted a couple of weeks ago! Sigh, it is becoming discouraging. I have such a pile of books at home and such a long list of those I want to read. Then along comes one like this that promises a nice read while curled up in a chair with a cup of something warm. I need more time to read!